The ‘Testimony’ crooner may have captured the heart of a 63 year old Mum with his lastest vibes. 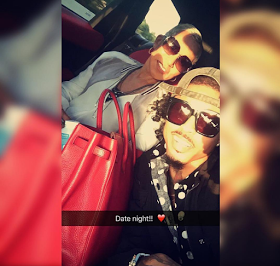 August Alsina took to his IG page to share a photo of his date night with Adrienne Banfield-Jones, the mother of Jada Pinkett Smith. The 24-year-old singer captioned the photo, ‘Date Night’ with a love emoji. Well, it’s yet unclear what they are up to.